BioBalance Certified Organic Chia Seeds are nature’s complete superfood: a nutritional power-house for energy, endurance and strength. Chia seeds were used by messengers in ancient Aztec and Mayan cultures as mega-energy food during long-distance and mountain runs, complete with proteins, dietary fibre, minerals and omega 3. In water, chia seeds create a gel of soluble fibre that supports colon cleansing and digestive health. Find out more about where our chia seeds come from & how they are grown. Adults: Take: 1 tablespoon daily. Children: Take 1/2-1 tablespoon daily. Sprinkle raw on breakfast cereals, porridge, sandwiches, salads and soups. Mix with water or other liquids to form a thick gel and blend into smoothies, desserts and drinks such as milk, kombucha, tea, juice, kefir or yoghurt. Add to bread and baking recipes. Yah kids love these, they call them ants, and put on their porridge in the morning, I know they are getting a healthy start. I also had replaced jam with frozen berries, defrosted and then add Chia seeds to thicken it up and the kids love it without all the added sugar. I love using this product by putting a tsp in my morning oats along with chopped dates, cinnamon, tumeric and a pinch of chilli mixed altogether with cocnut milk and it lasts me till lunch !! Thank goodness for Bio Balance organic chia seeds. Have had I.B.S. for three years, tried all sorts of health products, (expensive) with no success. However, chia seed puddings for breakfast have proved to be the first success story for me. I feel so nourished and warm, and gut and bowels have really settled in a real short time. I,m full till lunch time, and often have pud in the evenings as well, with nuts and berries. I make my pud the night before, mix quarter cup with kefir yogurt and coconut or almond milk, vanilla and coconut threads, mix well and refrigerate. You can expect your order to arrive quickly and in great condition. We offer FREE COURIERPOST DELIVERY for all orders to a New Zealand address. International orders are welcome and we offer you a choice of either Non-Tracked Airmail or Tracked Courier delivery to best suit your needs. We know you'll often be ordering things you need in a hurry. If we have the products you order in stock – and we usually do – we'll dispatch your order within 1-2 working days. Occasionally a product which you order may be out of stock. In this case we'll contact you promptly with an ETA. We offer FREE COURIERPOST DELIVERY for all orders to a New Zealand address. You can expect to receive your goods within 3 working days of having placed your order. We use CourierPost for all national deliveries outside of Golden Bay. We send non-signature unless otherwise requested. If you're not home when they call, and they deem it safe to do so, the driver will typically leave your parcel either at your door or close by. If they don't think it safe to leave, they'll leave a card to call. If delivery is to a business you must include the business name in your delivery address. PO Boxes and Rural Delivery addresses are not a problem – feel free. All CourierPost orders are sent with 'Track & Trace'. We'll send you a dispatch email with your tracking number at the time your order is sent. We accept responsibility for parcels lost in transit in New Zealand prior to their having been delivered to your home/business provided we are notified within a week. We cannot accept responsibility for your parcel once delivery has been made. We accept full responsibility for breakages in transit within New Zealand. If you experience a breakage please hold onto the item and packaging and notify us of the situation. International orders are welcome and we offer you a choice of either Non-Tracked Airmail or Tracked Courier delivery to best suit your needs. The exact delivery cost of your order will be clearly displayed for your approval during the checkout process. We charge a flat-rate for orders weighing up to 1 kilogram (1kg). This rate is determined by your delivery country and choice of delivery method. For orders weighing over 1kg, the delivery cost is the 1kg rate plus an extra charge for each additional kilogram of product weight thereafter. These rates also vary depending on your delivery country and choice of delivery method. The retail price of your products has to be shown on the consignment note of your parcel, as per New Zealand regulations. We are unable to declare an incorrect price for products, or mark your parcel as a gift, sorry. Customs and import regulations vary widely between countries. Some of the products we sell via this website are prohibited for importation into certain countries. Unfortunately, it's not possible for us to be aware of all of the regulations specific to any given country. Where we are aware of any particular import restrictions, we endeavour to make note of this on the product detail page. We are aware of some restrictions in place on ordering honey of greater than 2kg to EU countries – we suggest you check with your countries Customs Office or other government body before placing any honey orders over 2kg to EU countries. It's entirely your responsibility to ensure that any goods which you order are not prohibited/restricted within your delivery country. BioBalance Ltd accept no liability for the refund/replacement of any goods or any costs relating to, or arising from, the importation or confiscation of any goods by your countries Customs Office or other government body. Likewise any import duty or tax payable on your order is not our responsibility and is beyond our control. If an order is returned to us by your countries import authorities in resalable condition, we'll refund you the value of the order less any postage costs incurred to us. We can't provide a refund until we've received the products back. We don't provide refunds on parcels that are detained or confiscated at your countries customs due to containing items which are prohibited. We accept no liability for any goods lost in transit outside of New Zealand. We've been sending goods all over the world for many years and have had very few problems. We recommend you contact your local Customs Office for further information on import regulations in your country. We believe natural health should be just that. Natural products from Mother Nature, with no extra ingredients. We believe in natural preventative products that fit into your daily routine. Our mission is to offer you a way to stay well, feel great, live your life with the energy and vitality you deserve, to allow you to stay True to Your Nature™. The Butler Family has 30 years’ experience in the natural health industry, a strong understanding of the benefits of natural health products and a respect for the powerful healing abilities of plants. 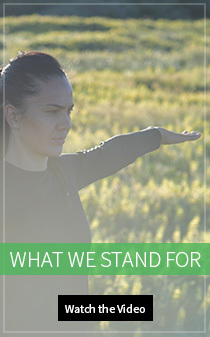 From this deep knowledge base and New Zealand’s rich natural environment comes BioBalance: a range of high-quality, mainly plant-based, vegetarian and ethically sourced natural health products for local and international markets. We believe natural health products should be cruelty free and contain nothing that damages the natural environment. As part of a balanced lifestyle, we use our products to keep ourselves and our families in optimal health: we insist they be the safest and most effective natural solutions available. Many of our raw ingredients and inspiration come from the land and the sea around us here in New Zealand, or from certified organic producers around the world. We insist that the people who farm the ingredients are being paid fairly, treated ethically and farm in a manner that preserves the planet for future generations.